One sits on your wrist and one sits on your face. Both work really well with Google Now and other Google(s goog) services but can also run third-party apps. One has a camera and one doesn’t. You can spend $199 or $1,500, depending on your choice. 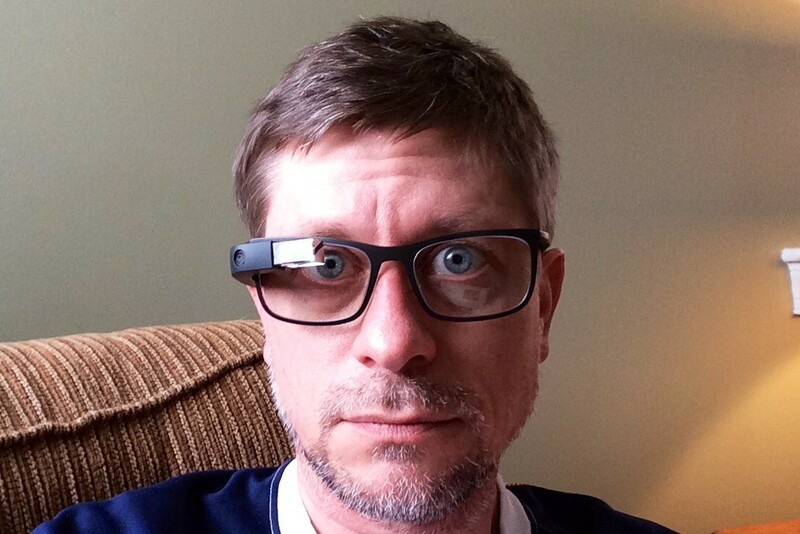 I agree that it’s a question worth asking: Does one need both Google Glass and Android Wear? The two aren’t mutually exclusive by any means but there’s a ton of redundancy. The biggest functional differences: where do you want to see important information — a screen on your wrist or a screen in front of your right eye? And do you need another camera? Otherwise, you’re generally getting the same information and services from both. Holly followed up with a solid thought piece on Thursday that’s well worth the read. In it, he suggested the two products really shouldn’t be compared at all, mainly because there are some functions that will never be replicated across both products. More importantly, he said both are “flawed concepts aimed at the future.” I can agree with that statement as it pertains to Glass, but less so when it comes to Android Wear. These are valid points: Simply moving our eyes from a screen on the phone that may be in our pocket to a screen on the wrist doesn’t sound earth-shattering by itself. But in actual usage, there is a social benefit. I’m sure I’m not the only one out there that is constantly interrupted by a buzzing phone with every tweet, Facebook update and email; particularly in social settings. Even with judicious notification management, short of completely disconnecting, a few beeps and vibrations get through. 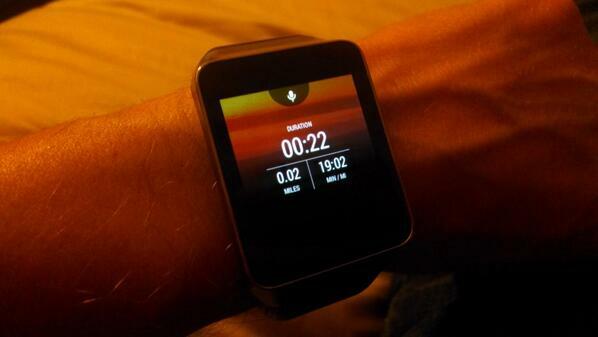 This is where Android Wear — and other similar products — excel. It’s far quicker and less obtrusive to glance down at your wrist then it is to pull out or pick up a phone. In fact, I joked on Google+ yesterday that even with it’s early stage flaws, I can triage and archive email far faster on Android Wear than I ever could on a phone. Doing the same on Google Glass is at least as disruptive, if not more so, than managing messages on a phone. I’ll have more to say about Android Wear when I’m ready to post a full review of the Samsung Gear Live I’ve been using for a week. I’ve held off on sharing thoughts mainly because the product Google handed out last week at its I/O developer event isn’t the product consumers will be purchasing next week. Software updates to the Android Wear companion app have been made and just last night, the first 24 Android Wear third-party apps were launched. Now is when the real reviews can begin for the full product. But the question of how wearable computing is evolving and will shake out in the consumer market is worth asking now, particularly when we know more options are coming soon. Apple’s(s aapl) iWatch has long been rumored and I wouldn’t be surprised to see it debut with iOS 8 this fall; but I anticipate more of a wearable band that focuses just as much on health-monitoring. Microsoft(s msft) too is expected to make a play for this market with a key difference: Instead of working with its own Windows Phone devices, Microsoft’s wearable band could work with iOS and Android devices. Regardless, all of these similar products portend the wearable revolution now and in the near future. Google Glass and similar wearable displays seem far more like a potential future that may not pan out for some time in the consumer market, if at all. They are two products for two different use cases. The common element is that they are both something the user wears. One has more compute blocks than the other since the use case requires more functions and higher processing power. We start from the activity tracker as a basic design then add compute blocks as the use case requires. Ubiquitous computing. That’s what is coming. It’s not going to be a smart-watch vs a smart-visor. It’s going to be both. They are going to have some overlap of use. So do motorcycles and scooters and cars and SUVs – but all exist. Same will be true for smart-watches, smart-visors and a whole slew of other things yet to be. Glass costs more right now than Android-wear. So what? Remember how expensive early cell phones were? I’m sure the world was full of stories about how little sense they made when phone booths were on every corner. And all the silly, scary stuff about a camera in Google glass. Same nut-jobbery response when cameras were invented, and again when pocket cameras were invented, and again when cell phone cameras became popular. You know what – smart-visor systems are going to have cameras – and for the most part nobody is going to care. And the governemnt could care less about losing out on exploiting them if we are all ‘down with Google glass’ because look around – cameras are everywhere. They are shrinking in size and growing in quality. They too will be everywhere. I’ll be very surprised in 25 years if I can’t get e-mail notification or high-res images of my kitchen all from my toaster. 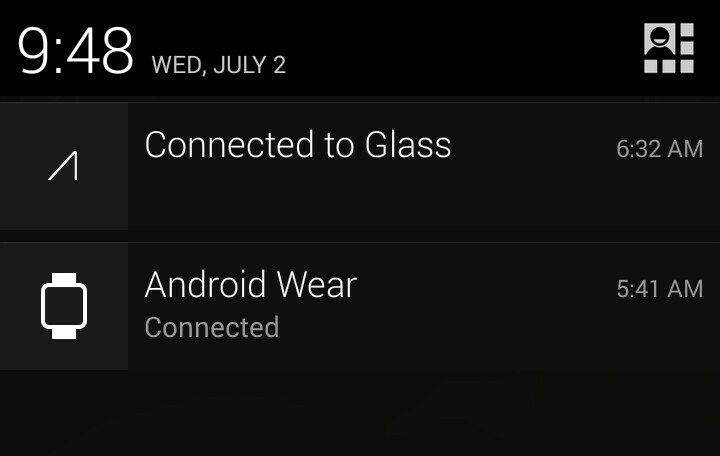 Google Glass vs Android Wear – we may as well be arguing about whether shoes or gloves will win out. It’s all coming. down with google glass. It is wrong and will be exploited to repress freedoms by our government. I don’t quite agree that turning the wrist, reading a new e-mail or a new facebook post etc.. on a tiny Android-wear screen is less disruptive than reaching out to the Phone in the pocket to read the same mail/post. Android-wear is justified if & when it gets really ‘packed’ with Activity tracking, Health tracking, Sleep tracking & much more. I’m not quite sure if the current gen Android-wear has most of the above features..
Sathish, if you’re talking about reading every word of that new email, Facebook post, etc… I agree with you. That’s not the ideal use case for a smartwatch though. By getting a notification with a short amount of text, I can immediately see if its worth reading the entire message in a split second. If so, I can tap and read more on the watch or simply get my phone. If not — and this is where the real benefit / time savings comes from — I can archive or swipe away the notification and move on. As far as health tracking, the Gear Live I’m using tracks my daily steps (and has replaced my Fitbit for that reason) and can also record my heart rate on demand. There’s no sleep tracking function now, but it could easily be added via software; it’s early days yet.